It’s very close to April and you know what that means? You’ll be able to find Uninvited, my second novel and the first of The Portal series, everywhere in only a couple weeks! You can buy the eBook as soon as April 1st on Boldstrokesbooks.com. Uninvited is the story of what I would imagine happening if aliens came to Earth, with a bit of second-chance love. 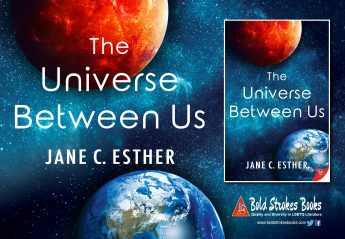 In other news, The Universe Between Us is a finalist for a Foreword INDIES award in LGBT!